for an automated email request. Roofer Mike Inc is a roofing company in Miami specializing in residential roofing, roof repair and maintenance. With technical expertise and attention to detail, we listen to our clients and offer options based on their needs. Roofer Mike Inc. is built on referrals by providing consistent quality and value. Now with over 25 years of South Florida experience, Michael Slattery earned his Florida Certified Roofing Contractors License (CCC1327413) and incorporated in 2006. Beginning as a referral driven contractor based in Miami Springs our service area now includes all of Miami-Dade and South Broward County. Your roof is the first line of defense against South Florida's extreme weather and it is important to realize how essential a dependable roof is. Home ownership is the biggest long term investment most of us will make and, as one of the finest residential roofing contractors in Miami, Roofer Mike can help protect that investment by maintaining your roof as cost effectively as possible. All roofing systems will eventually require repairs and maintenance. Roofer Mike Inc is a roof repair and leak detection specialist and features maintenance applications such as elastomeric roof coatings. Unfortunately, when a roof is too old and worn for maintenance or repairs to be practical, it must be replaced. 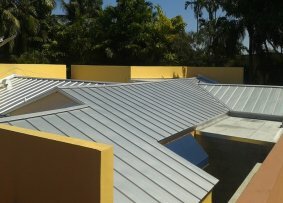 The Miami roofing market is unique due to its tropical climate and features its own methods and range of roofing systems. We can assist in choosing the best option for your roof and offer expert installations of fiberglass shingle roofs, concrete tile and clay tile roofs, metal roofing and various flat roof applications. South Florida residents are increasingly aware of the energy efficiency of their homes. We endorse Cool Roof concepts such as ventilation, insulation, and reflectivity in residential designs which reduce cooling costs and extend the life cycle of the roof. A referral-driven roofing company doesn't take shortcuts. Roofer Mike Inc. strictly adheres to the Florida Building Code, uses only Miami-Dade County approved materials and pulls permits in accordance with local building departments. 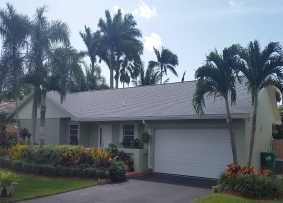 We offer one of the strongest warranty programs in the Miami roofing industry with confidence in our installations. Our roof repairs are designed to outlast the existing roof. When requiring the services of a roofing company, Roofer Mike Inc is happy to answer any questions about your roof. We also have 100% Roof Financing Options available. Roofer Mike Inc: Serving the Miami-Dade area including Miami, Miami Springs, Miami Lakes, Miami Shores, Coconut Grove, Coral Gables, Pinecrest, Kendall, South Miami, North Miami and more. "Roofer Mike" introduces himself and discusses the development of Roofer Mike Inc and this website. 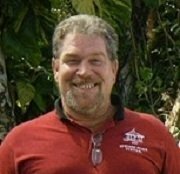 Hello, I'm Mike Slattery - owner and qualifier at Roofer Mike Inc. Born in New Jersey, raised in Pennsylvania and a Floridian since '79, South Florida has been home since 1992. I arrived with one of the best roofers in the Tampa area and worked with him seven days a week on homes devastated by Hurricane Andrew for over a year and have been roofing in Miami ever since. In 2006, after receiving very good scores on the state exam I became a Florida Certified Roofing Contractor and founded Roofer Mike Inc. We started as a small company based in Miami Springs, getting most of our work passing out business cards and word spread to the point that most of our jobs now come by referral. The Great Recession arrived in 2007 and took its toll on the Miami roofing industry but we survived with efficiency and continued business from our core clientele. Around that time, recognizing that we needed something to set us apart, we began offering three-year warranties on all our roof repair jobs. This seemed natural as it was, and still is, difficult to imagine a homeowner having peace of mind and confidence in a contractor's work with a one-year warranty. When asked by other roofers how we can do three-year warranties, our answer is simple - we do better work; comprehensive work - we do more. That "do more" approach carries through to our roof replacements and maintenance applications as well. There are many roofing salesmen in Miami - I am not one of them. I perform all estimates for the company but try to provide a client with the information needed to make a decision based on their own circumstances rather than sell a system according to a preconceived agenda. There is a well-established roofing contractor in Broward I admire who still does his own estimates and visits each of his jobs at least once a day - the first person a customer sees and he is quality control. As Roofer Mike Inc. grows, that is a model I aspire to. In 2011 the economy showed signs of recovery and this site was born with the irreplaceable help and patience of my good friend Johnny Banachi at Jtech Solutions. He used my writing and photos to build roofermikeinc.com and continues to be key to its development into what we think is a different, helpful and informative site. We hope you agree.